It’s back-to-school time again! Do you have all of those notebooks, pens, pencils and supplies ready to go? We’ve gathered together our favorite back-to-school organization projects from WeAllSew to help keep a handle on all of those supplies. Minki Kim created this super sweet pouch after she saw a friend’s cute stationery pouch from Japan. 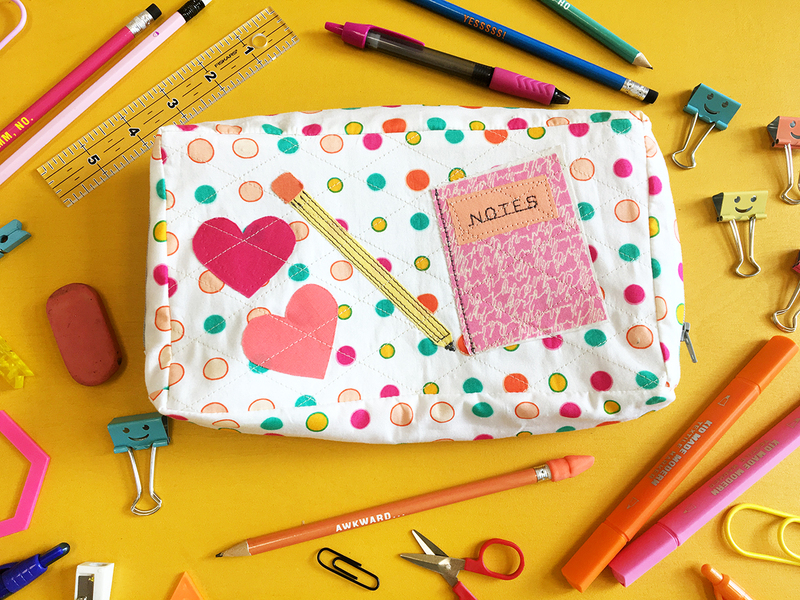 After a few experiments, she came up with this simple Stationary Pouch tutorial! This clever supply carrier has two separate zipper compartments and attaches to the cover of a notebook or binder. 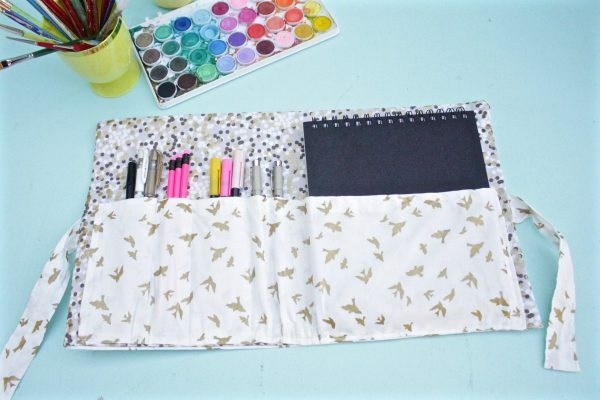 Learn how to make a Two-Pocket Pencil Case designed by Sue Bleiweiss. This large supply case designed by our friends at Art Gallery Fabrics is so much fun! 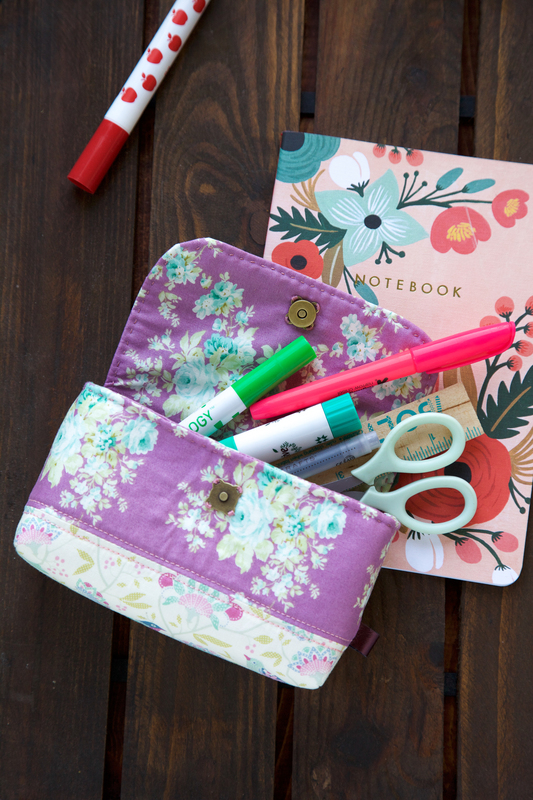 Get a free printable template for the shapes with the Open Wide Pencil Case tutorial here. You can’t lose your pencil case if it fits inside your binder! 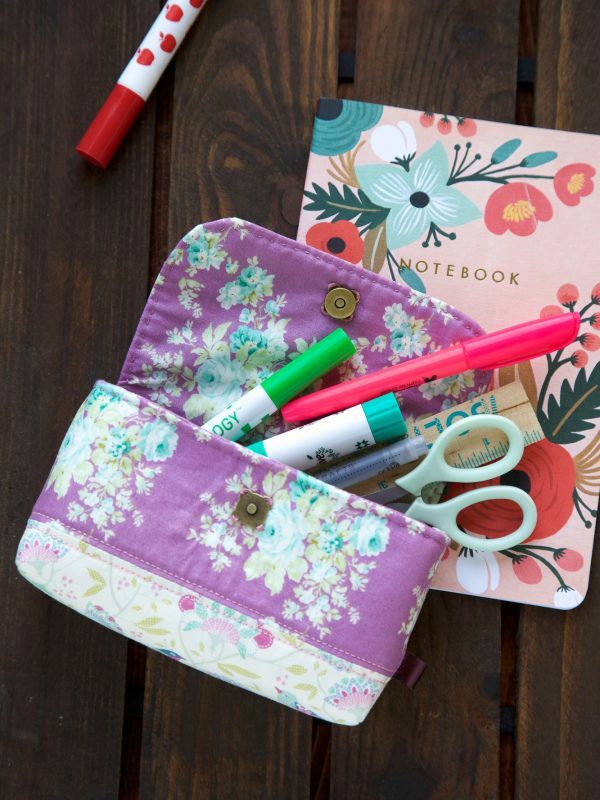 Find the Zipper Binder Pencil Pouch tutorial from Stacy Schlyer here. 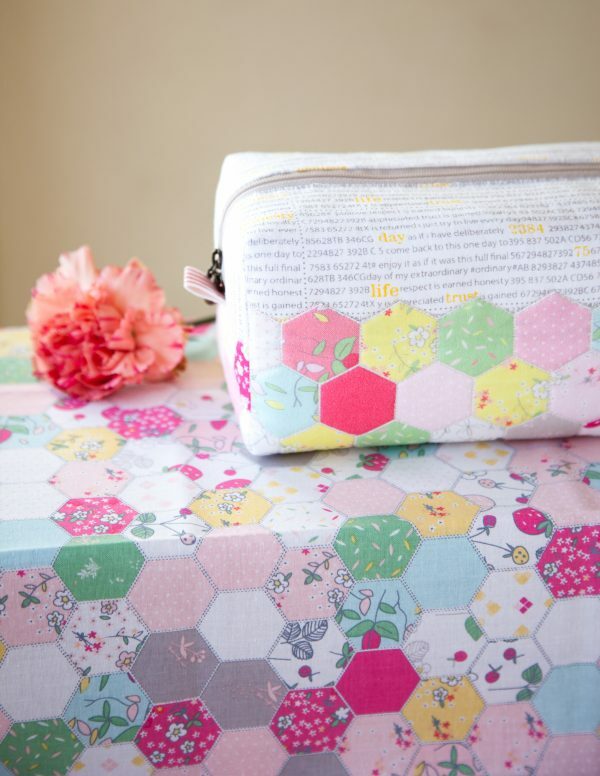 The Hexie Block Zip Pouch can be made with English paper pieced hexagons, or made with Minki Kim’s hexagon cheater fabric from her Serendipity collection! 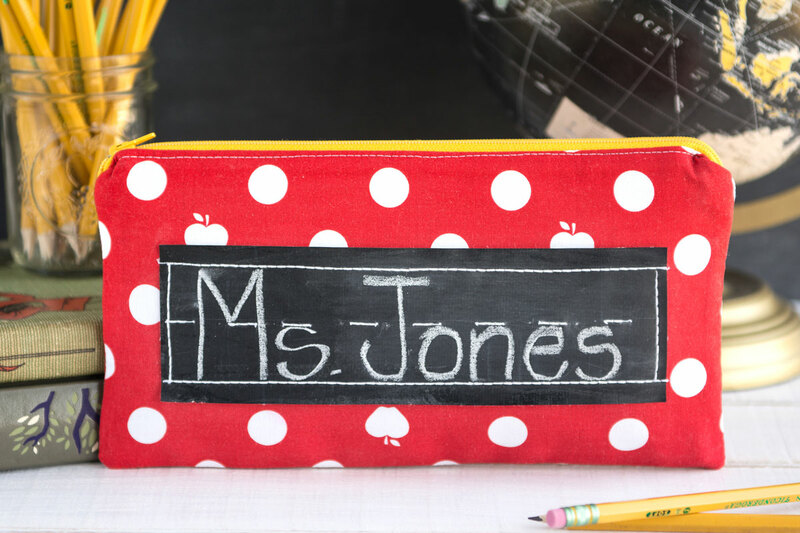 This pencil case features a fun chalk fabric insert and makes the perfect teacher’s gift. Find the Zipper Pencil Case with Chalk Fabric here at WeAllSew. Keep all those little supplies in order with this custom school binder cover complete with zip pouch and pencil holder. Go to the Back to School Binder Cover tutorial here. 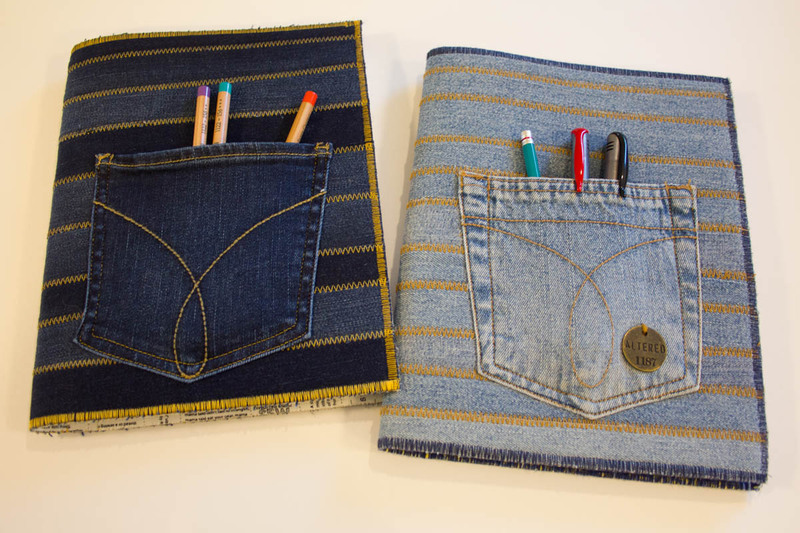 In just a couple of hours you can turn an old pair of jeans into a composition book cover that your back to school teen is sure to love! 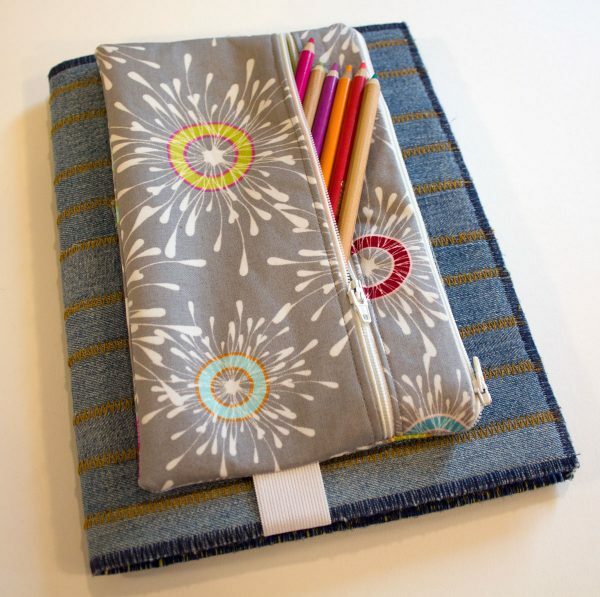 Click to find the Recycled Jeans Composition Notebook Cover tutorial designed by Sue Bleiweiss. 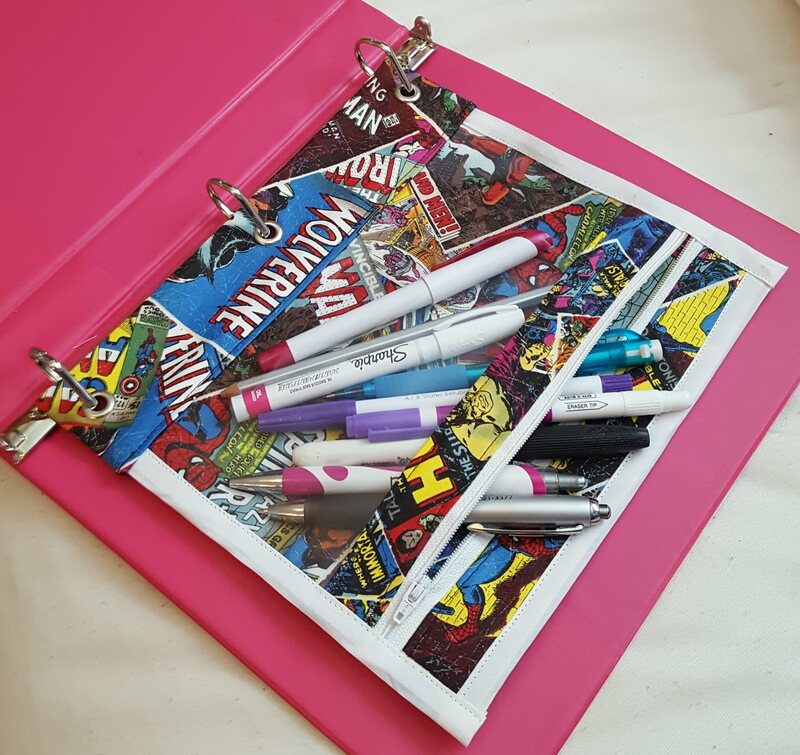 Nicole Stevenson created this fabric folder to hold pencils, pens, and a notebook or sketchbook. Find the DIY Sketchbook Cover tutorial here. 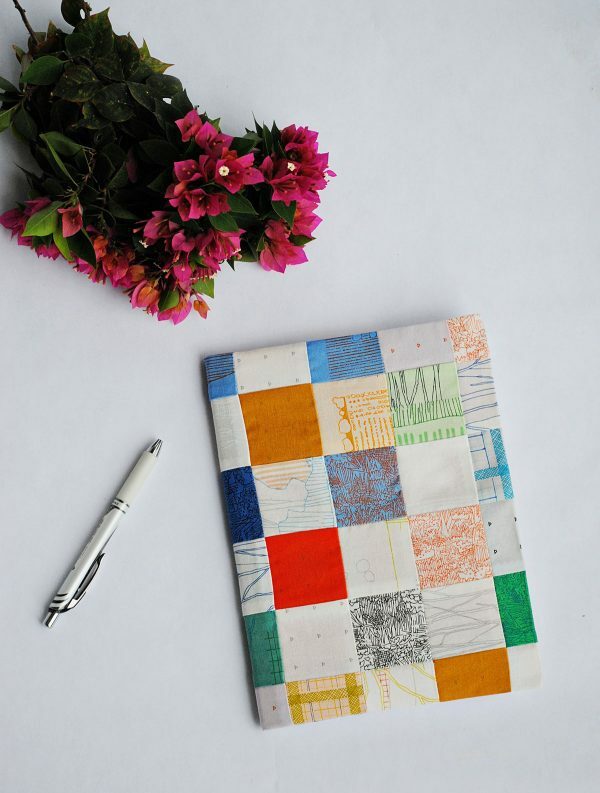 This fun notebook cover designed by Teresa Behr is created from a charm pack! 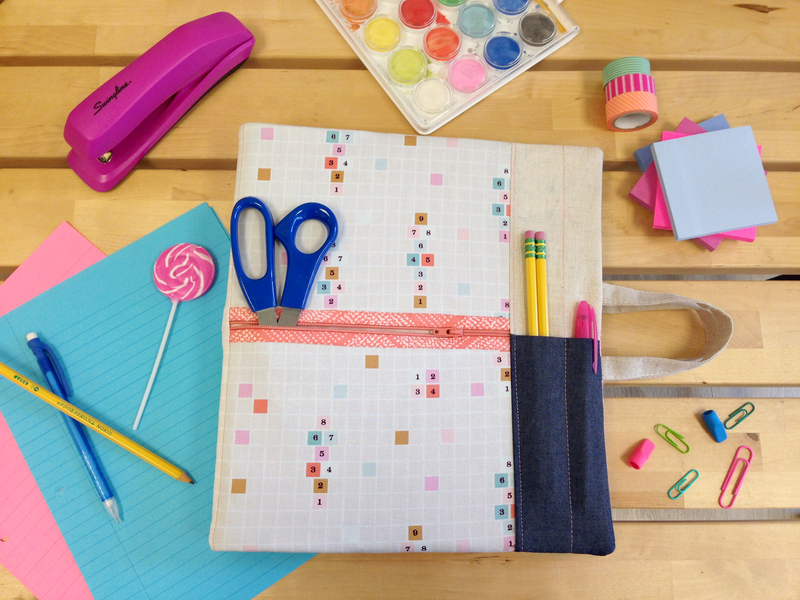 Learn how to make a Mini Charm Pack Notebook here. This roomy tote designed by our friends at Art Gallery Fabrics includes a nice big zipper pouch on the outside. 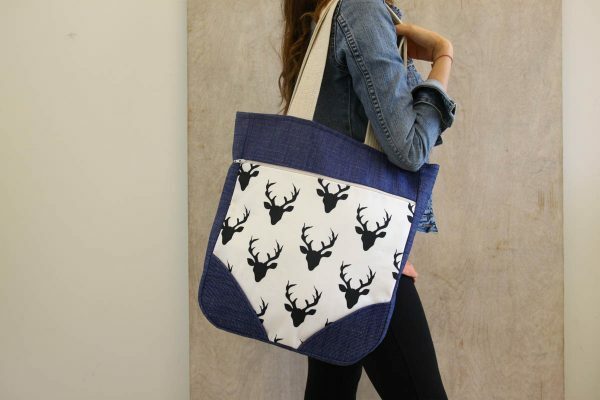 Find the instructions to make a Woodland Tote bag here at WeAllSew. 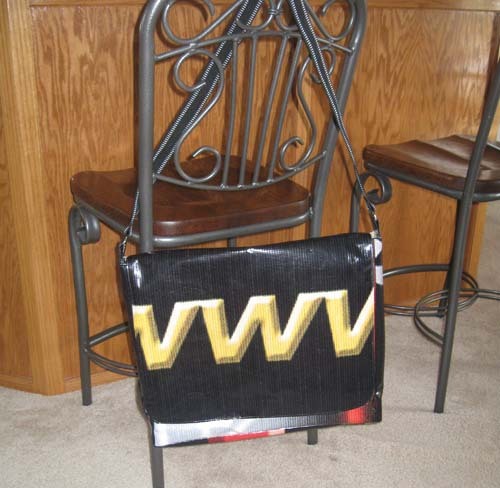 Stacy Schlyer uses upcycled materials to create a sturdy messenger bag from an old billboard! Find out How to Make a Billboard Messenger Bag for yourself here. Make a simple styled backpack that includes a top flap and size zipper pockets with Sue Bleiweiss’s Connect the Boxes Backpack Tutorial. 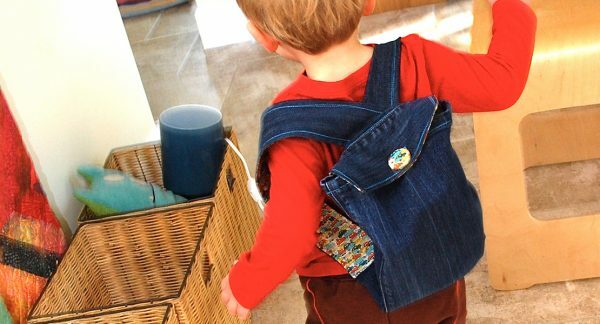 How cute is this little toddler back pack upcycled from an old pair of jeans from Juliette Lanvers? Find out How to Sew a Toddler Backpack here at WeAllSew. 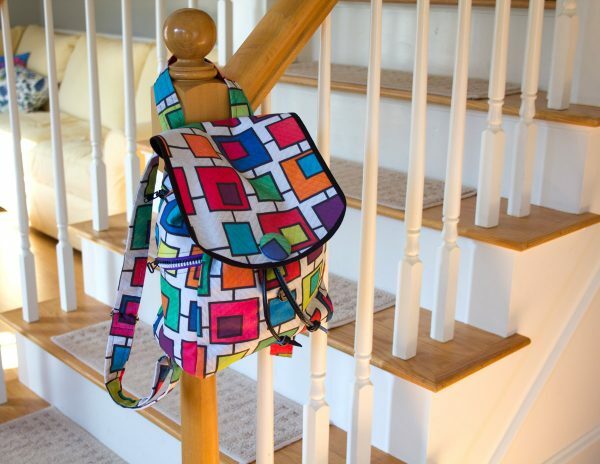 Every kid would absolutely love a school bag made with favorite fabrics! 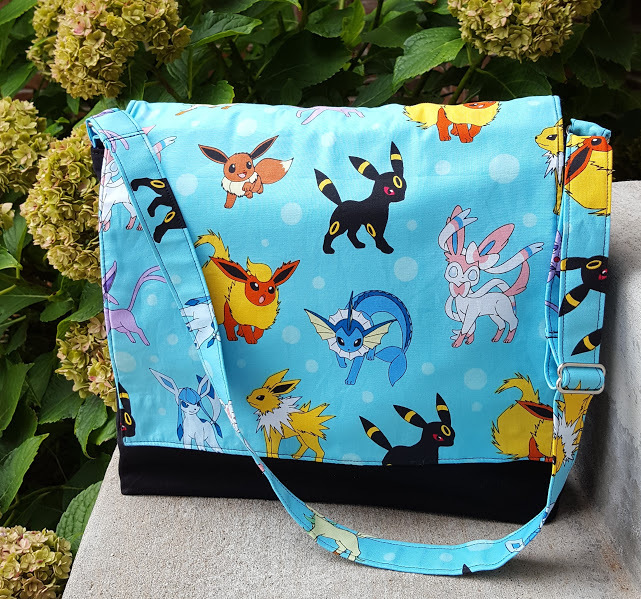 Learn how to make a Kid Sized Messenger Bag here.